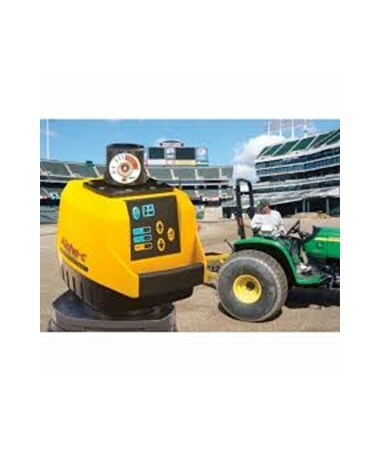 The Pro Shot Alpha-C Cone Grade Laser is a unique leveling tool specifically designed for sports fields, drainage, containment areas around storage tanks, and other applications that require precise curved slopes. It features a cone rotor head that can project up to ±4-degree conical slope, either up or down, in ¼ percent increments. It also allows single axis slope matching up to eight percent. It offers 360-degree rotation coverage and a speed of 500 revolutions per minute. 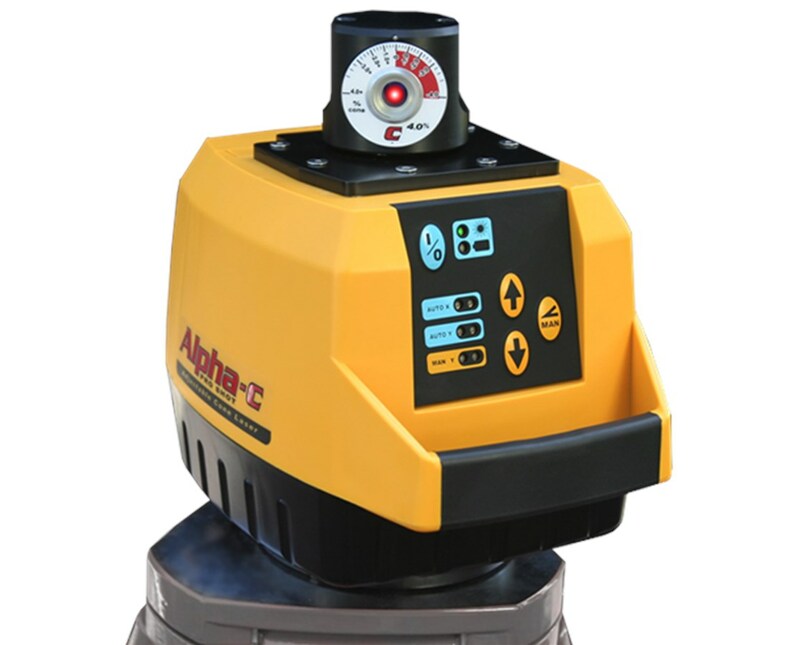 This precision cone grade laser by Pro Shot, with its servo motor leveling technology, is self-leveling within ±5 degrees. It is equipped with R9 laser receiver that allows a working range of up to 2,000-foot (610-meter) diameter. 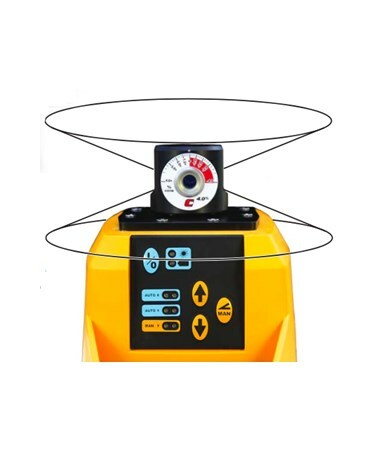 With horizontal accuracy of ±10 arc seconds (±1/16 inch per 100 feet or ±1.5 millimeters per 30 meters) and a height alert mechanism, it ensures correct, accurate measurements at all times. It is machine control compatible and accommodates most modern systems. 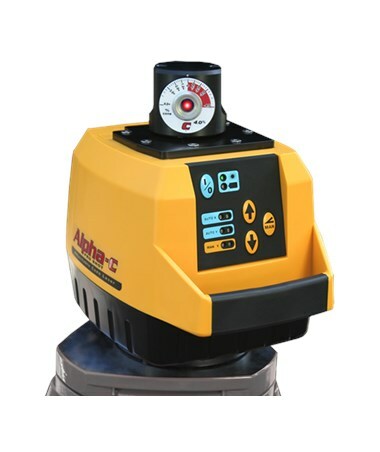 The Pro Shot Alpha-C Cone Grade Laser comes with a visible 670-nanometer laser beam that complies with CDRH and IEC standards with Class IIIa and Class 3R ratings, respectively. It includes a clamp, a carrying case, and four C-cell alkaline batteries that can operate for up to 75 hours. Built to withstand the harsh conditions in jobsites, it is durable and rated IP56 to resist dust and water. It is supported with a two-year defects coverage for guaranteed efficiency and functionality.